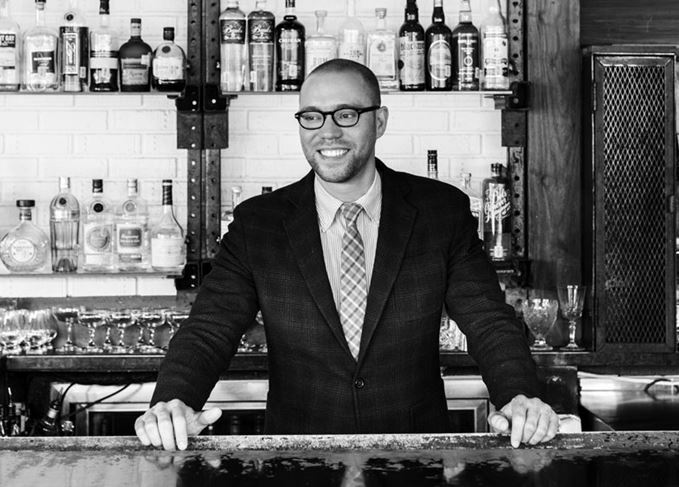 In light of Diageo’s decision to end its Masters of Whisky programme, Bobby Heugel, co-owner of Anvil Bar & Refuge in Houston, Texas, felt compelled to voice his concerns about the future of brand ambassador roles, and the rapid replacement of education with experiences that seems to be under way. Apparently, Diageo has decided to eliminate its Masters of Whisky programme. I can't tell you how disappointing this is, but it also seems to be a consistent theme these days. Among others, Ewan Morgan, Todd Richman, Mayra Edith and Nick Crutchfield have been incredible ambassadors for Diageo’s whiskies, and I know I wouldn’t have tasted, learned about or sold anywhere close to the amount of exceptional whiskies I’ve been able to over the last couple of years without them. It has been such a pleasure, and if there’s anything we can do to communicate to others the massive impact and influence you’ve had on our bars, just name it. We will be right there. Unfortunately, however, moves like this seem to be happening more and more frequently. Between the large Bacardi layoffs, shifts in other multinational companies’ brand representation (which seem to have happened more quietly to avoid the protests Bacardi experienced) and now this, it makes me question if large companies value education as much as they once did. Do they value the ‘craft’ (or whatever silly term you want to use for our fancy segment of the industry) cocktail world as much as they once did? The article that came out last week from Scotchwhisky.com said: ‘It is understood that Diageo intends to shift its focus from brand- and category-focused education to a model based on luxury experiences in an effort to maximise sales at key on-premise accounts, with the Masters being replaced by consultants.’ That sounds only slightly less ‘lifestyle’-focused in terms of future marketing approaches than the rhetoric released by Bacardi following its layoffs. It's a real shame. I'm certain I've caused my share of problems for large companies – and the people who work for them – by being a belligerent critic at times. The truth, however, is that I am not opposed to large spirits companies. I think they can represent the very best of what our industry is capable of doing in terms of sustainability, quality spirits production and historic preservation, while at the same time possessing the ability for small degrees of negligence in each of those areas, which has an enormous impact because of their size. These are complex and difficult issues to understand. That is exactly why we need knowledgeable people who are passionate about the spirits owned and produced by large conglomerates as representatives for their respective brands – not a marketing company that is focused on ‘luxury experiences… at key on-premise accounts’. And if you can’t read between the lines, that means accounts that care about education are no longer key on-premise accounts (yay, Port Ellen bottle service with sparklers!). We need ambassadors who care about the content – not just moving the contents – of the spirits we serve, and we as bar professionals need to care enough to ask questions and learn about our spirits more, not less. I know people are excited about casual trends in cocktails, having fun and jumping on whatever plane they can get on next for a paid-for brand vacation. And all of that is fine, provided that it also doesn’t show large companies that we as an industry don’t care about education and can be bought by the same tricks that worked on the slimy nightclub owners I worked for years ago. Today, frankly, we are starting to look like a bunch of sell-outs (I hate that term, but it is so accurate) with slipping standards that we would like to cash in on before the ‘craft’ candle goes out. If we keep this up, we are going to collectively convince companies that we are not interested in education, which among other factors – and I am sure there are so many of them I don’t understand – will slowly eliminate the positions of our friends and colleagues whom we need. Yet, despite this trend away from education and these layoffs, I watch bartenders continue to pursue brand ambassador positions, which in some ways have been marketed as a potential next step in someone’s career. I’m worried about my friends who think this is their next career option and have no backup plan, and those currently working for companies who will be relying on brand ambassador positions for decades to come while they raise families and save for retirement. What will they do if this trend continues and they are replaced by lifestyle firms? I’m not sure any of this even remotely touches on the issues that surround these layoffs. I bet people who work, or have worked, in a brand position would have better thoughts than me. But I know this: Anvil wouldn’t have the incredible back bar we have today without the Masters of Whisky. We would have likely sold thousands and thousands of dollars less in Diageo whiskies without them. We would have been unable to acquire countless rare whiskies that we regularly stock and have featured as part of our Break-Even series. Our guests wouldn’t have experienced those phenomenal spirits. Our staff wouldn’t have been able to try them. Jessey Qi [Anvil’s assistant general manager] and I wouldn’t have been able to ask if we could stop by the distilleries (on our own time, by the way) while we were in Scotland to learn more about some of my favourite Scotch whiskies in the world. So, as someone who values education and the role brand representatives play in our bar, I just want to know what we can do to be more supportive while still maintaining our standards for spirits. How do we show large companies that education, rather than a lifestyle experience, is important? What happens if this problem continues and educational-based events have trouble finding sponsorship because companies value more recreational investments? Will we still have Tales of the Cocktail, Bar Institute and other educational events in the future? These are the questions I have, and I really hope there’s an answer to them that makes sense. What can we as bars do for those of you who work in these positions currently to help show large companies how much our part of the bar world needs you? Your entire life is probably full of bars asking you for things. Maybe it is time for us to ask what we can do for you.